Market Area Detail Western U.S.
Wilcox Farms was started by Judson Wilcox in 1909. The 100 year old family farm is 4th generation run and is committed to sustainable and organic farming practices, with a deep commitment to converting to 100% cage free and organic. The care of our animals, employees and land is our upmost priority. Equally important is to build a local feed source for our animals. Wilcox is currently growing organic crops and building partnerships with local farmers for additional feed sources. 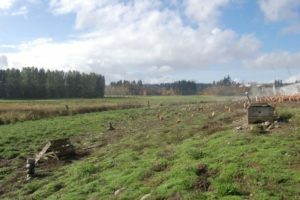 Wilcox Farms cares for the environment and has been innovative and conscience in sustainable farming methods by water conservation, organic composting, salmon and wildlife habitat.